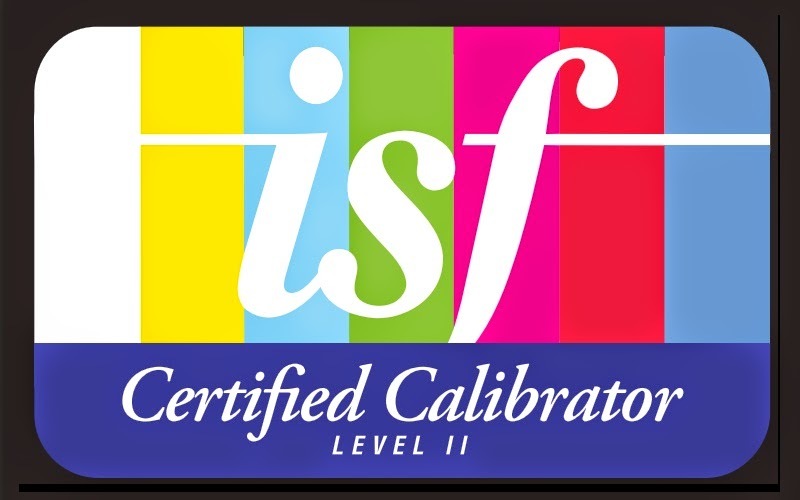 I am pleased to anouce that I am now ISF Level II certified. "I bought a Mitsubishi projector back in 2009 and out of box and, without any professional calibration, the image was good. After calibration by Mark the difference was night and day. The skin tones were natural and the image was much more pleasant to watch. The improvement in the quality of the image can only be fully appreciated when you see it in person. To draw a parallel, it is like the difference between listening to a high quality music piece via an average HiFi set and a high quality one. After many years, that Mitsubishi projector was still providing good service but it was getting towards the end of its life in regards to the lamp and technology. Therefore I bought a Sony projector which, out of box and with no professional calibration, looked great. Even though I have some calibration gear and have some knowledge of the process, I asked Mark to calibrate the projector and once again the results were outstanding. The blacks are so much deeper and image has a pop to it. With my limited knowledge of the calibration process, I could see how Mark is getting around the limitation posed by some of the sets. 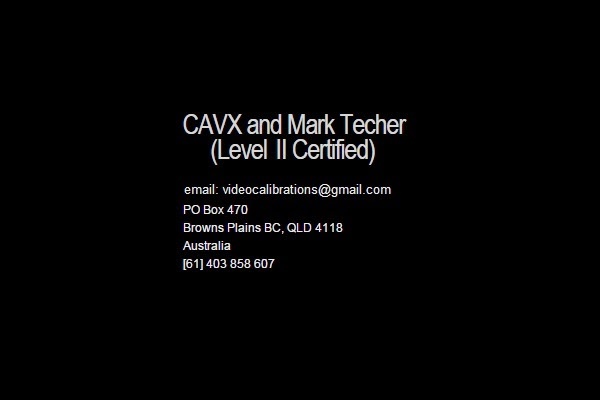 I would highly recommend him to anyone who wants to calibrate their display, being a projector, a TV or a computer monitor. The displays in the shops are generally set up to be very bright and over saturated in colour, to attract your attention. This by no means is an indication that the set is not good. Once you appreciate the quality of a calibrated image, it is unlikely that you would want to change the settings back to way they were." I have recently been involved in a home cinema upgrade where the owner wanted to make a statement room. After applying his room dimensions to my room formula, I decided to go with a 2m tall CinemaScope AT screen. The challenge with having a screen of this size is lighting it to at least 16FL. The original projector in the room was a SIM2 projecting onto a 120" [1450mm tall] 16:9 screen and was only outputting 3.5FL. Not good enough! We would need a new projector with much more light output and after looking up some options [both affordable and some no so] I used an Optoma EH501 [which boasts 5000 Lumens with the short throw lens option] plus one of my MK5 Aussiemorphic Lenses. 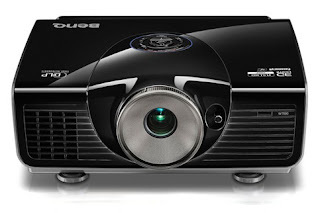 This projector also does 3D at 144hz and scales for CIH in both 2D and 3D. The images above were captured with the lights on. On a full white field the projection system outputs 23FL! The screen is 4740mm wide by 2000mm tall. It is the largest screen I have ever installed and is custom curved to correct pincushion form the A-Lens. The screen is mounted to a custom speaker baffle wall that houses both the LCR speakers [Def-Tech] and two Sub-woofers [PSB]. Both the projector and MK5 are mounted to a CAVX Projector Station to allow perfect light beam to screen alignment. The image is stunning and razor sharp corner to corner at this size. The sound system is 3 way active plus LFE and equalized using 3 mini DSP units that sit between the pre-out and power amps. The Aussiemorphic Lens recently went through another upgrade - new optic coating that completely eliminates retro reflections making it [JVC safe]. This now brings this anamorphic lens into line with the best in the world. After seeing a few convincing demos and reading some great reviews, I decided to pull the trigger on an OPPO103D. The OPPO BD players are in my opinion world class players and the models with D in their name are even better. The D stands for Darbee. These units are extremely well packed. Once installed in the rack, the OPPO 103D is easy to set up. The menus have so many options but they are well laid out and easy to configure. This player also has HDMI and USB inputs, so it is essentially a Home Theatre PC in a box that is mush easier to use. The outputs are plentiful and with dual HDMI outs, I don't have to upgrade my HDMI 1.3 spec AVR when I upgrade the projector to a 3D unit. The OPPO 103D is fast with load times on films like Star Wars being around 15 secs (instead 2 minutes on my last player) and fully loaded with features. Apart from excellent BD play back, the OPPO103D also playes DVD-V [at 24fps], DVD-A [lossless over HDMI], SACD [also lossless over HDMI], HDCD [built in decoder for 20BIT] and of course standard 16BIT CD. On the video side, the OPPO103D has a Darbee video processor built in. The Darbee processing does make a huge difference to the image quality without the ringing of traditional sharpness controls. Each OPPO comes with a WiFi adapter so you can connect to the net and get the full use of BD and the latest FW upgrades. It also features APPS for Pandora Netflix etc. I was quite impressed with the way it streamed YouTube videos. I recently [finally] got REW and the calibrated MINIDSP UMIK-1 microphone and have been able to measure my room. When I built the room back in 2010, the room was treated and whilst I thought it sounded very good, I had no way to prove it. Now I am able to generate charts of the in room response. Here are my charts for Left Centre Right. The response was originally set up using the MCACC on the AVR. When I measured the speakers, there was a small peak at 250Hz which I was able to go into the EQ and manually pull out. The roll off at the top end [2K and above] is because I measured with THX Re-eq engaged. if you open each chart in a different tab, you may notice the SPL is different. This is done for the purpose of the charts to show the response in reference to the curve of the mic with the calibration correction file. When measured with an SPL, each channel actually plays at +75dB [C/slow]. Whilst there is still room for improvement, considering what the speakers and room have cost, I am very happy with the result. HD has been around for many years and its Aspect Ratio of 1.78:1 has been called WIDE SCREEN even though it is just 33% wider than the original 4 x 3 shape. The industry is about to change again and "4K" has been suggested to be the next big thing. Personally I don't think there is a need for 4K rez in the home given Digital Cinema still uses 2K  on screens much larger than anything we would ever have in our homes. In fact I would like to see a new shape rather than just increased resolution. Those that follow this blog know that I love CinemaScope and welcome anything supporting the true wide screen format of 2.37:1. 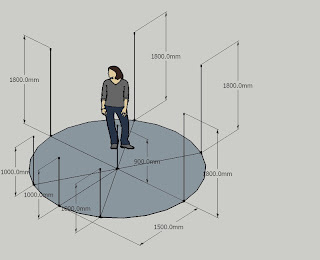 US based company Panamorph are working on a system they call Folded Space which can be implemented on Blu-Ray Disc. They claim to be able to "fold" additional picture information into the "space" currently allocated [wasted actually] for the black bars that preserve the original aspect ratio of CinemaScope films on the format. The following is my own interpretation of the technology and hopefully my explanation is correct. The image above has an aspect ratio of 2.37. The image is large at 2560 x 1080 pixels. To make this possible on home video, films being scanned would have to be done at 2560 instead of 1920  as they are currently being produced at for Blu-ray Disc. This means a whole new work process for the studios, so lets hope they see the benefits. The BDA would also have to support this. Because this new format has extra resolution over Blu-ray Disc's 1920 x 1080, it would be able to support other ways of viewing films in that rez. One mode could be a true anamorphic mode. This means the image is essentially the same vertically  and simply has every fourth line removed from the horizontal resolution. The image is therefore made from 1920 x 1080 pixels so 1:1 pixel mapping on a 1920 x 1080 projector is possible. Note the image is squeezed. To restore the geometry, add an Anamorphic Lens [like the CAVX MK5] and you get to see the original 2.37:1 image at the projector's full rez. Pretty exciting stuff. Framing aside, this mode actually has a wide fan base because there many people that just wish the film would fit their screen. This image is made from the centre 1920 x 1080 pixels of the 2560 x 1080 available from Folded Space. To keep the format backward compatible with the current 1920 x 1080 standards, a letter box mode would also be included. This is a plus because unlike 3D, this means you don't have to buy a special version of the disc as one disc will provide all four modes. As mentioned above, this is still a work in progress and whilst an actual test disc is being demonstrated to the studios, they still need to adopt the new tech. If this does succeed [and I really hope it does], you will need a new player with a special decode chip built in. If you are into Constant Image Height projection, this is the answer we have all been waiting for because it supports a true anamorphic mode. Another point of possible resistance is subtitles. I personally don't see this as a problem, however subtitles can be apart of the 'artistic' side of the production. The following is how I believe Folded Space should handle the ST issue. When mapped 1:1 on a display that supports 2560 x 1080 rez, the STs will sit in the image because there is simply nowhere else for them to go. IMO, this is where they belong because this is where you see them at the cinema. Why should home video be any different. The only difference here is geometry of the image. The STs remain in the same position. Like the two modes above, the STs really have nowhere to go. There are those in the 16:9 camp that still might not be 100% happy because they would rather read the STs on a black back ground. Who knows, perhaps the player could generate a black bar for the STs. In this image the STs are in the bottom black bar. What is actually interesting is that the location of the text is actually the same for all image examples, so if a studio wishes to place the STs in the black bar for the letterbox version of the film, it can be and will still work with the other full 1080 rez versions. This is all very exciting and I wish Panamorph all the best with Folded Space and look forward to the day we can all buy our BDs with full 1080 rez for all title and not just those in 1.78:1. Regardless if you like 3D or not, more and more programs are being produced in 3D to the point where there is saying "if you can't make it good, make it 3D". I actually like 3D and look forward to day my home cinema is full 3D. 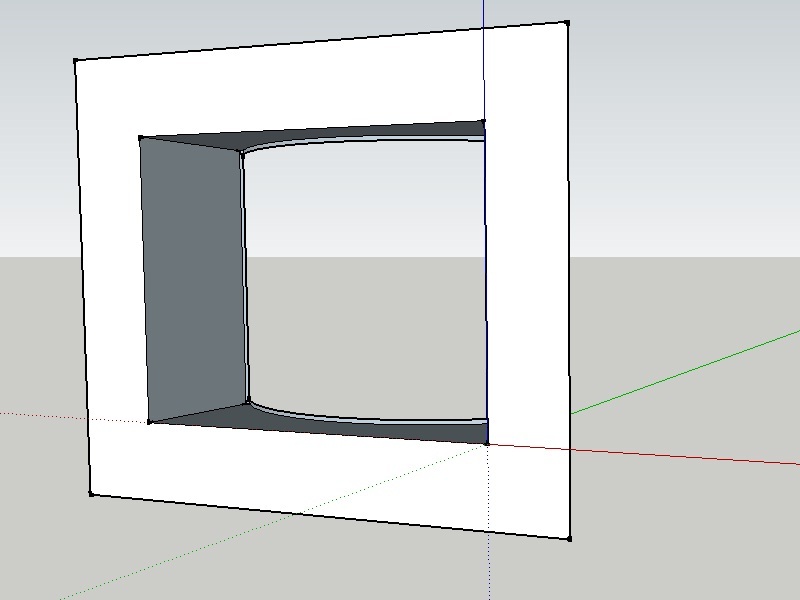 In my opinion, 3D [when done properly] adds way more than it subtracts. The big question is, should older films be up-converted to 3D like animation? Disney/Pixar have pretty much up-converted all their animated films to 3D and most of these are available on Blu-ray Disc 3D. I don't have a problem with this because the original 2D image was created with a computer, so generating a 2nd eye perspective is relatively easy. What about live action like the 6 STAR WARS films or I, ROBOT? In the case of the episode 2 and 3 or STAR WARS series and I, ROBOT, most of those films were shot with the actors in front of a blue screen and virtually all the back ground is CGI, so it can work. The actors may look a bit flat though. The image above is was captured using a standard digital camera mounted to a tri-pod. It is simply a case of capturing an image, then capturing a 2nd eye perspective of the same image. All I did here was to rotate the trip-pod [off the front leg] anti-clockwise about 10 degrees for the 2nd angle. I then used Paint in Windows to create the image and add the text. The alignment was done viewing the image cross-eyed. To view this image in 3D, all you need is to be able to go cross eyed and let the magic happen. For 3D to work, your eyes need to be equal strength and it has been documented that many of the complaints about 3D such as head aches are related to undiagnosed eye conditions. 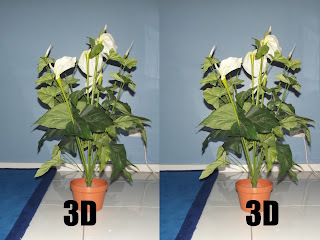 If you are seeing this correctly, the plant should have a good detail and depth be in focus from top to base and the 3D letters should appear to float in front of the image. The only real good thing about this type of 3D is that you don't need glasses to view the image. Therefore, you can store 3D images on a portable device like a smart phone or tablet. 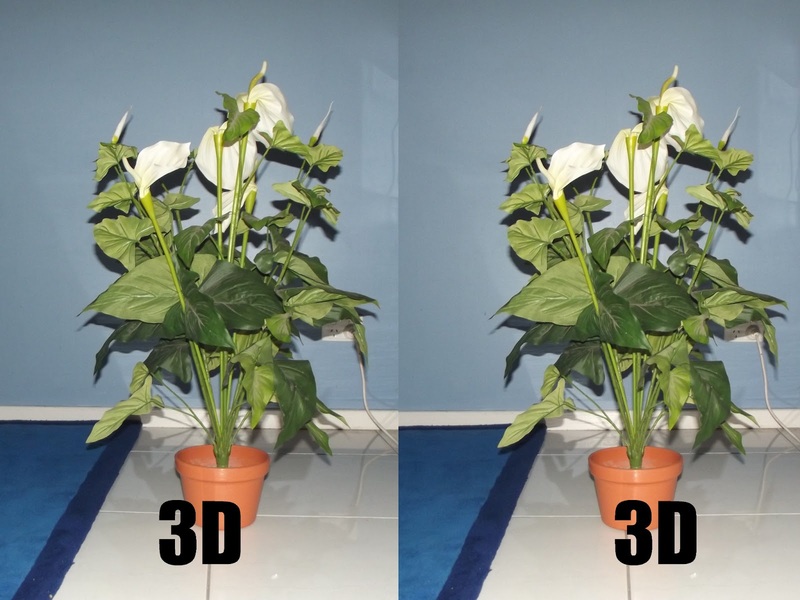 The problem is that you see the original elements to the sides of the 3D image and this can be distracting. Analygraph 3D is one of the oldest types. It uses colour filters to cancel opposing colour accents of the left eye/right eye perspective added to the images. The result is an image that is seen as 3D but colour fidelity is lost. 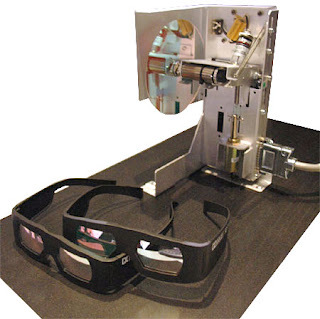 DOLBY 3D is a passive system that is used in cinemas. Unfortunately, many cinemas have changed over to REAL D systems due to the high cost of the DOLBY 3D glasses [being damaged]. The DOLBY system uses colour tinted optics similar to Analygraph and maintains full colour fidelity. A special filter wheel is installed in the projector and syncs with the full frame left and right eye images. I still think this system is the best passive system and wish a consumer version was available. The only way to install this system into a home set up is to use two projectors and use the lenses from one set of glasses to provide the filtering. Then comes the challenge of the video processing. Costly and technical and why not too many have done this. REAL D which use pollarized glasses. A shutter device sits in the light path of the projector and a special silver screen is required to keep the light polarized. 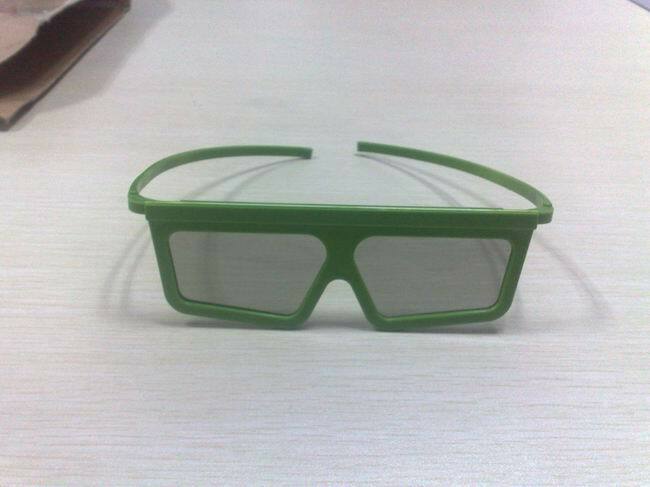 The glasses are cheap and it works for a commercial cinema. A home version is also available. 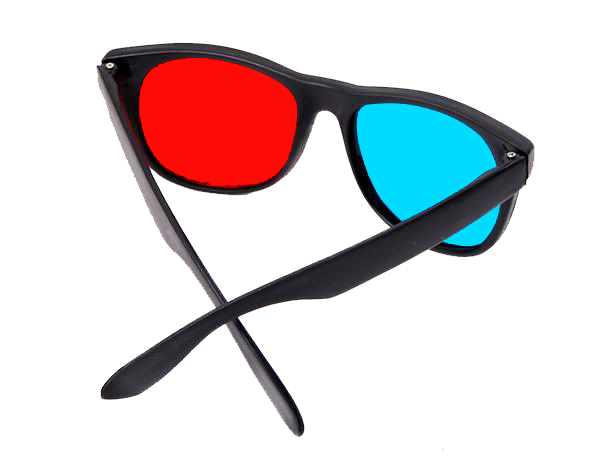 Active or shutter glasses are the most common type of 3D for the home. 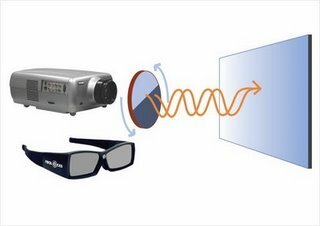 The glasses use LCD to block the light for each eye at a rate of 120Hz with some of the newer systems offering 144Hz. The 144Hz systems tripple flash each eye and produce the smoothest 3D and is what speed the D-Cinema systems operate at. AVATAR was one of the first live action films to be shot and projected in 3D. The Genisis camera was specifically designed for the shooting of this film. The above image is a side by side 3D image showing left and right views. The bottom image is what the 2 images look like when viewed without the glasses. AVATAR was shown in cinemas in both CinemaScope and flat [1.85:1]. When it came out on BD, it was presented as full frame 16:9. One possible reason James Cameron changed the Aspect Ratio for the home release is that 3D images can look smaller than their 2D equivalent when the 3D effect is made to create a really deep field. It is possible James Cameron wanted the image is be as big as possible and because most of the world is 16:9, decided to fill those screens. I thought I would take another look at room design and make it much easier this time. Lets start with speaker placement. The above layout is based on the International Telecommunications Union - Room layout. The difference between my diagram and the original, is mine is modded to support 7.1 where the original was 5.1. In upgrading this, I have moved the LS and RS from +/-110 degrees to +/-90 degrees [which works better with THX design] and added the pair of Back Surrounds [LBS and RBS]. I have also elevated the surrounds to 30 degrees above the LCRs [seated ear height]. I have kept the front speakers spaced the same as the original ITU-R of 30 degrees between each and symmetrically spaced the surrounds to 60 degrees apart. You could, [if you wanted to] move the front L and R speakers in closer so their position was +/-45 degrees. A few things need to change once you decide to add a picture to your audio [especially if you want the sound to actually match that picture]. The biggest thing for me is the spacing of the three front LCR speakers where I would move the L and R speaker to be just inside the lines showing 1.78:1. This applies to both an AT screen or if the speakers were under or over the screen. The reason is simple - studios [dubbing stages] that mix sound for film have their speakers their and if I want to hear what they heard, then I need to do what they did. I have had my speakers in this location for over years now and would not change. It works and provides a seamless blend of sound to picture. Room length divided by 4 to find image height. Image Height x AR to find screen width. 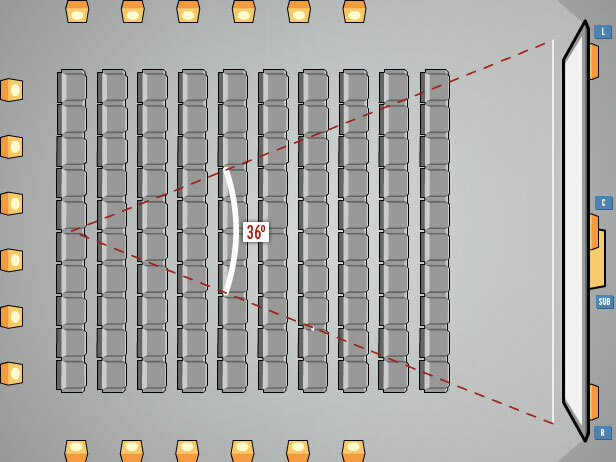 Image height times 2 and 3.68 to find closest and farthest seating distance. The centre point of the two extremes for seating is the distance the surrounds will be from the screen. This then uses an arc with 60 degree separation to find the locations of the surrounds. This diagram is the same except I have scaled it up to 2x that of the original. It is representative of the size I'd like to build my next room. Projectors like the BenQ W6000 I am currently using would light this size screen without issue. The girl in both images is the same size for a sense of scale. 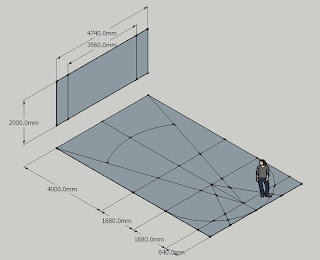 This page is to dedicated to discussion of a real cinema layout in particular, clearing up some confusion around their viewing angle spec of 36 degrees. If we refer to the image, you can see the subtended triangle extends from the centre seat of the back row to the edges of the scree and that the angle of the apex is 36 degrees. 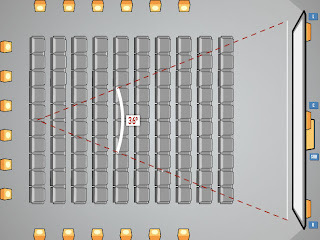 This means that the seats in the back row are positioned to have a viewing angle of 36 degrees and therefore every seat in front of that row will have a wider viewing angle. This is also how I feel Home Cinema should be done as well and in my next blog page [Another Look At Room Design Part 2], I take this concept in to the home. With 3D becoming main stream [well at SMPTE hopes] and more and more 3D projectors are released, it is good to know that DLP is making a stand in the market place. The BenQW7000 is the 2nd 3D projector I've seen using DLP [Optoma being the 1st]. The W7000 looks identical to the previous W6000 [which is currently used in my own cinema] except for the new decals sporting 3D. Apart from some subtle changes to the menu, the W7000 seem to operate the same as the previous W6000. I was interested in the projector because of the 3D and its use of DLP Link glasses. The 3D is actually very good and the ONLY reason I have not upgraded my W6000 to a W7000 is that this unit will not Scale for CIH in 3D. Optoma does [apparently, as I did not get to test the Scaling in 3D mode] so I do wonder how they missed that one. 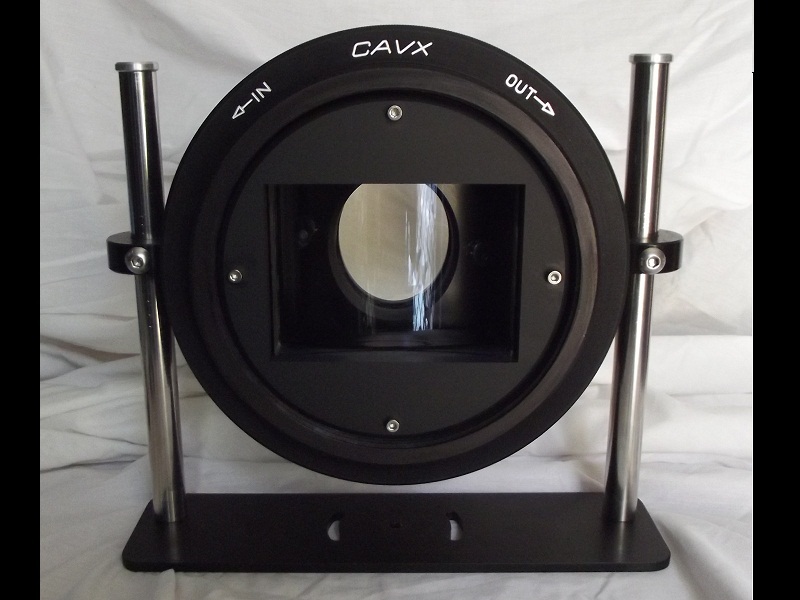 Now that I have a Vac Form Table, along with my Acoustic Tile, I will be able to make parts that will improve the performance of the Aussiemorphic Lens like optics holders. This is what the front lens holder should look like. It will improve the product by not only holding the glass more securely, but also assist in keeping the inside dust free. I will also be making a similar version for the rear lens. The rear lens is Plano-Convex and due to its shape, this lens is really only held in position at two points [very top and very bottom]. The new holders will make surface contact at 360 degrees making sure the lens can not move. The CAVX Acoustic Tile will be available again soon as I have recently acquired a Vacuum Form Table. The CAVX Acoustic Tile will be available in either Black or White ABS. I am now offering AT fabric for those wishing to make their own AT screen. If you build your frame, you can buy just the AT fabric by the lineal meter. Roll widths are 2.5m or 3.0m and you simply pay by the meter. There are two basic weaves that I offer. 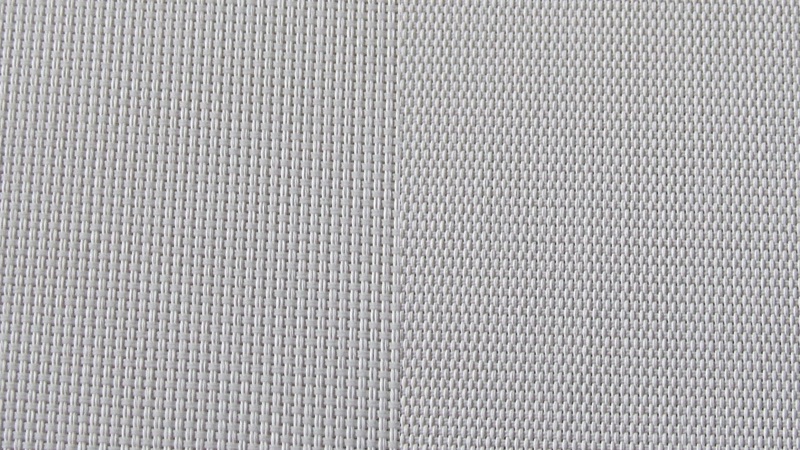 The fabric on the left is called 2x2 and it is the same as the fabric originally sold by SmX. The ratio of hole to surface area is 5/95. 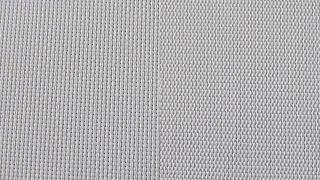 The fabric on the right is called 2x1 and has just 3% hole to 97% surface area. Both have excellent reflective properties and a gain of about 1.16. The AT fabrics I sell are white, not cream or egg shell. The are also grey/white versions as well as black for AT masks. 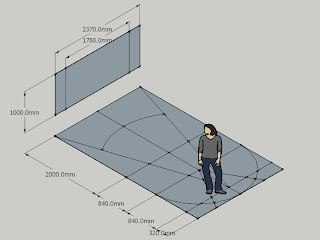 In a previous post on ROOM DESIGN, I discussed screen sizes but didn't really provide any visual reference as to how the screen sizes actually look in a room. So the purpose of this post is to show just that. I am still using the same method of taking the room length and dividing that by numbers between 5.18 and 3.68. 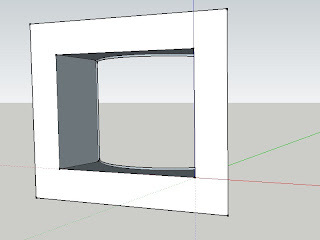 In the image below, I have created two identical rooms and placed Scope [2.40:1] screens in each based on dividing the room length the numbers in bold. I also rounded the numbers for ease of calculation. 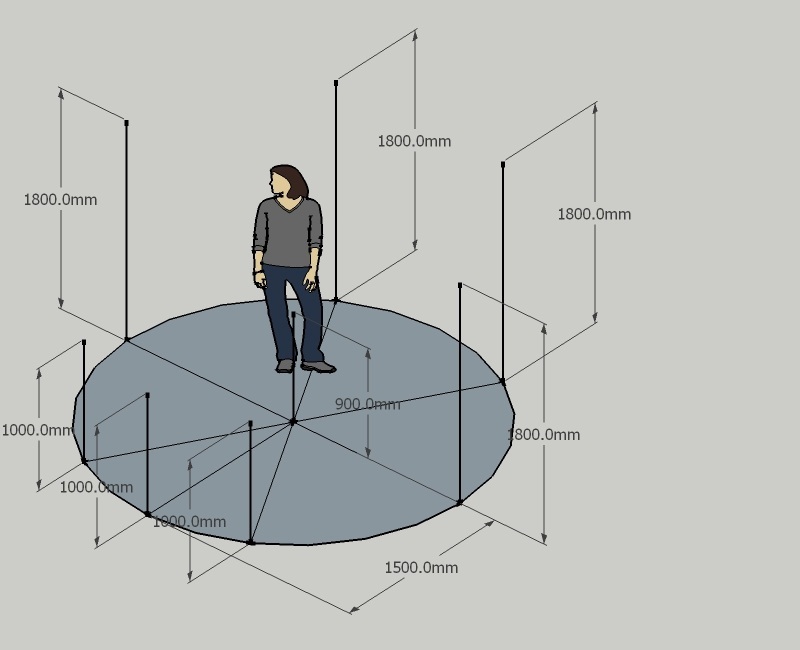 The image gives a better representation of how each size could look in your room. For the room on the left, I divided the room length by 5.18 to find the screen height and I divided the room length on the right by 3.68. This method can be used regardless of Aspect Ratio and does not mean you must have a Scope screen. The lines on the floor in both rooms are multiples of each room's screen height and are good places to start for seating locations. The front line in both rooms is just 2x the screen height and is the closest you would want to sit for either screen according to SMPTE. The farthest you would want to sit is 4x [3rd line in the room on the left]. Obviously you can't sit that far back in the room on the right due to the fact the 4 is a larger number than 3.68 so if the screen was too large, you would have to reduce it. In regards to the room on the right, the screen would have to be Acoustically Transparent as there is simply no space left for speaker placement. The room on the left is probably more typical of size used in many Home Theaters and would allow placement of floor standing speakers. My personal preference would be the room on the right, however the room itself would have to be deeper to allow the construction of the baffle wall behind the AT screen. For this latest batch of MK5 lenses, I am adding a "practical wrinkle" - engraved markings showing the direction the Astigmatism Corrector needs to be turned in order to bring the front optics for true corner to corner focus. I was so impressed with the job my industrial designer did, I decided to get the detail added to my own Aussiemorphic MK5 lens.